SEM is a broader term compared to other Search engine techniques. Search Engine Marketing aid businesses to focus on target users of search engines via advertising (paid) links along with search results in addition to organic searches driven to website. 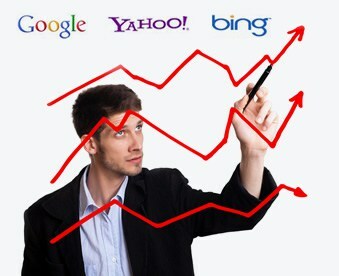 Search Engine Marketing takes many forms and significantly this is an advertising technique which today’s organizations and businesses use to increase their rankings on search engines with respect to specified keywords and brings greater avenue of visibility. ANGLER the leading Digital marketing service provider incorporates the process of ethical PPC advertising that drives more traffic, which automatically leads to reach more end users by harnessing today’s online marketing options. ANGLER’s exclusive PPC service offers a means to add value or drive traffic simultaneously while building organic SEO rankings. Our PPC advertising gives businesses the opportunity to appear within the search results & provide complete control over the keywords and budget. Delivers high ROI through our best practice of constant monitoring, testing and better targeting of keywords, we are preferred by many pioneering businesses from around the world to manage and enhance their on-line presence. No matter what your budget is, our Digital Marketing professionals will manage your campaign efficiently, which helps you to enjoy the maximum returns on investment – as millions of businesses today are out there vying for the same eyeballs, so it’s been more important to have online advertising and search engine marketing, the most effective way for promote your products and develop business. To avail our exclusive SEM services, check into our SEM Packages and reach us, will discuss about your campaign setup.